Startup companies are a dime a dozen. Think you've got what it takes to pick a winner? Introducing The Money Table, the competition where you are the angel investor. Put real Pittsburgh startup companies in your hot seat. As you grill local entrepreneurs, real angel investors assess your investment team in a single elimination tournament. No experience required; we'll give you a crash course in investing prior to the competition. All backgrounds welcome, but you must be a graduate student. 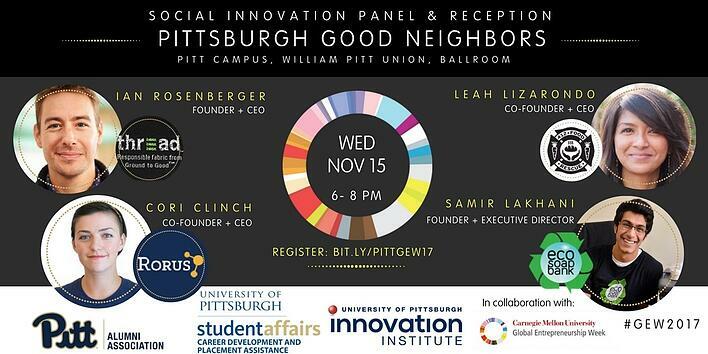 Join us for this reception to kick off Global Entrepreneurship Week at the University of Pittsburgh. This event will start with a networking reception for alumni, faculty, students and friends from Pitt and CMU followed by 4 TedX style presentations from Pitt Innovators. Hear how these faculty innovators were motivated to pursue commercialization, what path they are taking and the challenges they’ve faced. There are sure to be some great takeaways for anyone considering commercializing an innovation or starting a company. Who Should Attend: Students, staff, faculty, entrepreneurs, the community, and anyone with an interest in entrepreneurship and innovation! This event is open to everyone. Register now for this exclusive opportunity to network 1:1 with alumni who share a passion for Innovation and Entrepreneurship! Network over lunch with distinguished alumni and hear from our keynote speaker, a Pitt Alum and local start-up founder, Noah Snyder from Interphase Materials. Due to limited space, registration for this event will only be allowed on a first come, first serve basis. For students, you will receive an email confirmation confirming your place at the luncheon. Dessert & Networking Reception: 7-8 p.m.
Pittsburgh Good Neighbors: Entrepreneurs who are changing our region and world! Join us for a conversation with four Pittsburgh mission-driven enterprises as they talk with us about their journey from inspiration to impact, the lessons they’ve learned along the way, and what’s next on their horizon. 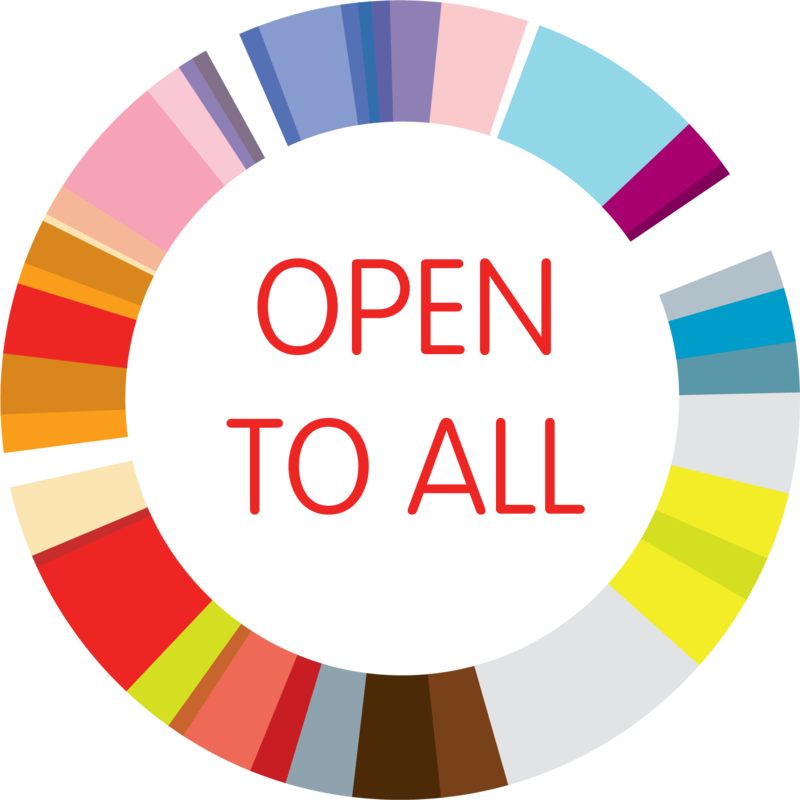 This event is open to anyone interested learning more about taking entrepreneurial action to help solve local, regional, national or global challenges. Following the conversation, stick around for dessert and mingling with others in our region’s social innovation and impact ecosystem. Do you want to be a part of something from the ground up? Interested in working for a start-up? Attend the Start-Up Job Fair to network with over 30 Pittsburgh startups looking to hire full-time, part-time, interns, and paid/unpaid positions in sales, marketing, operations, IT, engineering, and more. This annual event is presented by Project Olympus and the Pittsburgh Tech Meetup and co-sponsored by Pittsburgh Tech Meetup and the University of Pittsburgh Innovation Institute. How: Open to all. Registration is requested, but not required. Register now for this exclusive opportunity to visit with 2 awesome start-ups right here in Pittsburgh! Hear from members of their teams about life in a start-up and what it takes to succeed in an innovation and entrepreneurial environment! Lunch will be provided! Space is limited. Registration is required to attend this event. Transportation will be provided. Transportation: Transportation will be provided to and from the visit. ALung Technologies, Inc. is a privately-held Pittsburgh-based developer and manufacturer of innovative lung assist devices. Founded in 1997 as a spin-out of the University of Pittsburgh, ALung has developed the Hemolung RAS as a dialysis-like alternative or supplement to mechanical ventilation. The Hemolung RAS has been approved outside of the United States since 2013 and is commercially available in major European markets. In September 2017, ALung received IDE Approval to conduct a pivotal clinical trial of the Hemolung RAS for the US Market. Interphase Materials creates nontoxic materials and coatings with sustainably derived products to build interfaces between hardware and its environment. Their products prevent mold and mildew from growing on paints and stains used for wood and inside of homes. They also inhibit algae and bacterial growth responsible for microbiologically induced corrosion of pipeline and condensers and keep infrastructure from failing by inhibiting corrosion. Interphase Materials has been selected as one of 5 finalists for Innovator of the Year: Manufacturing for the 2017 Pittsburgh Tech50 awards! How: Click here to"Join Event" and register now! PDMA Pittsburgh will help celebrate Pitt and CMU’s Global Entrepreneurship Week by sponsoring an exciting student pitch competition. On November 17th, eight teams – four graduate and four undergraduate teams from Pitt and CMU – will have 90 seconds to pitch their innovative ideas to an expert panel of judges to compete for great prizes. The winning teams will receive cash prizes as well as access to a variety of resources which are generously donated from local sponsoring companies. From mentoring on Intellectual Property (IP) to providing product development and manufacturing advice, the sponsors will be focused on helping these young entrepreneurs develop their products and services. Join us to experience the energy and creativity of Pittsburgh’s future innovators and entrepreneurs.